Drummond is coming to Charlotte for a book signing at Joseph-Beth Booksellers at SouthPark, Friday, May 7, at 6 p.m. Sounds like a girls-night occasion to me. They'll also feature some of her recipes in the bistro that night. Tickets are free, but you'll need to act fast. You have to go the Jo-Beth store to pick one up (you can't just call to have one held). It's first-come, first-serve and they'll be available starting Saturday morning. In honor of Drummond making the trip here, let's give away a copy of the cookbook. I used a couple of her recipes when I was doing a Super Bowl story last month and I can say she does good versions of down-home dishes. You know the drill: Post your name as a comment and we'll draw a winner at random next Friday. Oh how wonderful to know some of her recipes and stories. Great giveaway! Her recipes are the best! Would love to have it! Saw her on the news - she is too cute! Please enter my name for the Pioneer cookbook. 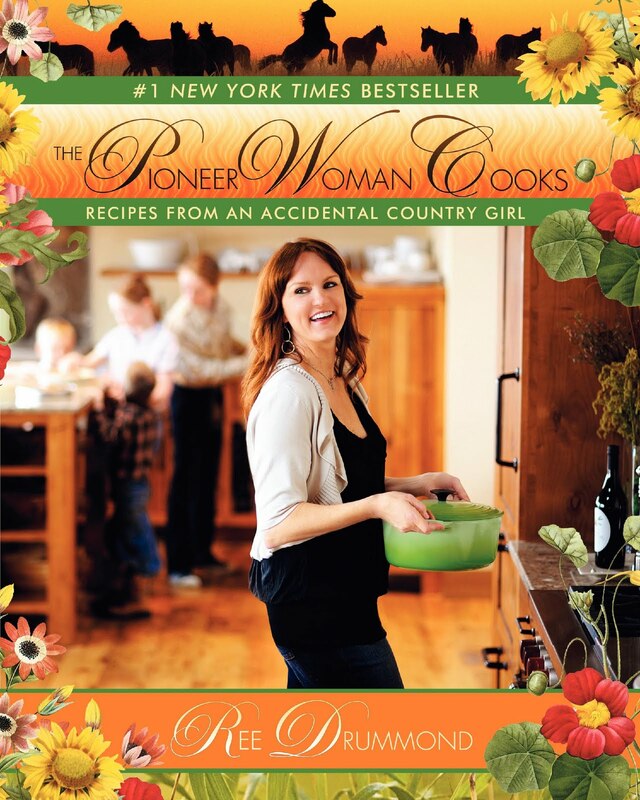 I love the Pioneer Woman! So excited she's coming to Charlotte! now, what time does the bookstore open tomorrow?? Love PW and her recipes are wonderful. Her Rosemary rolls are to die for!!! i'm hoping to go see her! i'd love to have her cookbook. Oooooo...what a neat give-away. Please drop my name in the pot! I love her site. She was actually the first blog I ever visited. I just love her story, of how pioneer woman became. I'd love to win her cookbook! I used her salsa recipe from her website and made it today - yummy! Love the very idea of being an "accidental country girl"! Lots of folks have told me that I need to follow her blog. Maybe her cookbook would inspire me? I've been following her blog forever! Even though I bot her cookbook I sure know some friends that I could give another too! Pick me, Pick me! I love her website! Please pick me! Ohhh - please pick me! One can never be too rich, too thin....or have too many cookbooks!! Just used her Tres Leches Cake recipe for a dinner party Saturday with terrific results. Her website is wonderful. How do I get my blog to get 10,000 hits a day like hers? Oh yeah, I probably have to write more than once a year. It would be wonderful to win this cookbook--that would mean the food spatters would get on a page instead of the laptop screen!!!! Pick me, me, me, me!! !